My junior year in college brought a second surprise: ideas jumped to life and began to take over. To some extent they must have gained on me gradually, but there came a night when I watched them preempt my life with the force of conversion. Returning from a meeting of a small honor society that gathered monthly for dessert and discussion in the home of its faculty sponsor, several of us lingered in the corridor of our dormitory to continue the arguments the evening had provoked-as unlikely a knot of peripatetics as ever assembled. My excitement had been mounting all evening, and around midnight it exploded, shattering mental stockades. It was as if a fourth dimension of space had opened and my mind was catapulting into it. And I had my entire life to explore those endless, awesome, portentous corridors. I wonder if I slept at all that night. In retrospect it seems predestined, but at the time I could only see it as providential that the faculty sponsor of our discussion group was a protégé of Henry Nelson Wieman, who had founded the school of naturalistic theism almost single-handedly. Wieman was at the University of Chicago, so it was inevitable that I proceed there for my graduate study. Having earlier shifted my vocational intent from missionary to minister, I now moved next door again by opting to teach rather than preach-although in moments of misgiving I suspect that I have friends who think I never accomplished that move. When Charles Kingsley asked Charles Lamb if he would like to hear him preach, Lamb replied, "I don't think I have ever heard you do anything else." That's too close to home for comfort. Because those vocational adjustments were obvious and small, they occasioned no soul-searching; but as I think back, I am surprised that I didn't find the collapse of my youthful supernaturalism disturbing. I entered the Divinity School of the University of Chicago a committed Wiemanite. Despite World War II-I was headed for the chaplaincy, but the war ended before I made it-Chicago was an exciting time for me. Via naturalistic theism, my vocation was clear. It would be to align the two most powerful forces in history: science and religion. I was a very young man, and fresh to the world's confusions. I can remember as if it were yesterday the night in which that entire prospect, including its underlying naturalistic worldview, collapsed like a house of cards. It was four years later, in Berkeley-but before I relate what happened, I need to explain how I got there. Chicago proceeded as planned, with one surprise. Although in my first year I would not have believed that such a thing was possible, in the second year I discovered something better than Wieman's theology, namely, his daughter. Two years later we were married. We celebrated our golden wedding anniversary last fall. As I was now a member of Wieman's family, he couldn't direct my dissertation, but he did suggest its topic. Stephen Pepper at the University of California had written his World Hypotheses, one of which was pragmatism (or contextualism, as he called it), which was close to Wieman's metaphysics; so he sent me to Pepper to explore the fit. With a wife and an infant child, I spent 1944-1945 in Berkeley writing my doctoral dissertation, "The Metaphysical Foundations of Contextualistic Philosophy of Religion." Mysticism pointed toward the "mystical East," so, Ph.D. in hand and teaching now, I cut back on philosophy to devote roughly half my time (as I have ever since) to immersing myself in the world's religions; immersing is the right word, for I have always been devotee as much as scholar. During my eleven years at Washington University (1947-1958) this involved weekly tutorials with a swami of the Ramakrishna Order who grounded me in the Vedanta and set me to meditating. When I responded to MIT's call to strengthen its humanities program by adding philosophy to it (my years there were 1958-1973), I shifted my focus to Buddhism and undertook Vipassana [a type of meditation] practice in Burma, Zen training in Kyoto, and fieldwork among the Tibetans in their refugee monasteries in North India. Angry at the hammerlock that analytic philosophers had on the field-in those days Harvard, Princeton, and Cornell constituted a "Bermuda Triangle" in which "planes" that entered from outlying territories disappeared professionally-I welcomed a bid from Syracuse University to move from philosophy to religious studies, and invested my last decade in full-time teaching (1973-1983), primarily in its graduate program. Asia-wise, that decade brought Islam into my lived world, through Sufi sheikhs [spiritual masters] that I encountered in pre-Khomeini Iran and North Africa-their five Arabic prayers continue to frame my day. On retiring from Syracuse we moved to Berkeley to be close to our children and their families. Until this year I continued to teach half-time: semesters here and there across the country, an occasional course at the Graduate Theological Union, and the last three years at the University of California. The new incursion on my religious front has been the primal religions. I helped edit a book with Reuben Snake (a leader of the Native American Church), One Nation Under God: The Triumph of the Native American Church, to help restore to that Church the rights the Supreme Court stripped it of in its 1990 Smith decision. This all sounds flagrantly eclectic, and I can't argue that it wasn't, for the truth of the matter is that in culling from the world's religions what was of use to me, I was largely ignoring their differences. What they said about reality seemed sufficiently alike to carry me as I stepped from one to another like a hunter crossing ice floes, but I had no real idea what to do with their differences. I had been avoiding that question for some time when, in the course of a year-long around-the-world seminar that I co-directed in 1969-1970, I ran into Professor S. H. Nasr in Iran, who pointed me to a small group of thinkers who had the answer I was looking for. Referred to sometimes as Perennialists, sometimes as Traditionalists, their roots were in the sophia perennis and "Great Chain of Being." René Guénon and Frithjof Schuon have been their chief twentieth-century spokesmen, and I also recognized the names of Ananda Coomaraswamy, Titus Burckhart, Martin Lings, and Professor Nasr himself. Meeting those men changed everything. As their position has remained in place for me since I encountered it, autobiography will enter into the rest of what I have to say only to indicate why I found its key features plausible. I shall come back to those illusions, but let me begin with the contrast with academicians. None of the teachers I had actively sought out-Huxley and Heard, Swami Satprakashananda, Goto Roshi, the Dalai Lama, and Sheikh Isa-had been academicians. They had served me as spiritual directors as much as informants; I know the ashrams, viharas, and monasteries of Asia better than I know its universities. When I found Schuon writing that "knowledge only saves us on condition that it engages all that we are: only when it constitutes a way which works and transforms, and which wounds our nature as the plough wounds the soil," I recognized him as standing in the line of my preceding mentors. With two additional resources. Schuon worked all the major traditions. And he was a theoretician, actively concerned with the way those traditions fit together. Having found Hindu, Buddhist, and Muslim (as well as Christian) teachers I had grown to revere, there was no way I was going to privilege one religion over the others. The question was where (within them) was there an absolute I could live by. (It needed to be an ontological absolute, not just a moral absolute, like tolerance or the golden rule, for only ontological realities wield objective power.) I knew that such an Absolute couldn't be slapped together from pieces gleaned here and there, for it was obvious that the power of the historical revelations derived from their respective patterns, or gestalts. To think that I could match such power by splicing chi [spiritual energy], say, to pratiyasammutpada [literally, "dependent arising"] and the logos made about as much sense as hoping to create a great work of art by pasting together pieces from my favorite paintings. Or creating a living organism from a heap of organ transplants. I said that the Absolute is indefinable, but we need indications of its character, and these are what the great revelations provide. In doing so, they resemble telescopes that "triangulate" the Absolute like a distant star. What in varying degrees of explicitness they all proclaim is that the Absolute is richer in every positive attribute we know-power, beauty, intelligence, whatever-than we can possibly imagine. This all the major religions assert, and we can understand the logic of their claim. For the only satisfying reason that can be given for the way things are is that it is best that they be that way, so the mind instinctively attributes to what is ultimate the best that it can conceive. The alternative is to accept meaninglessness to some degree. The consequence of this approach for the relation between religions runs something like this. As the superconcrete Absolute includes all forms, it can deploy them at will. In anthropomorphic (which isn't to say inaccurate) idiom, it chooses to do so in the great formal constellations we call revelations, crowding as much of itself into each as is possible under the formal limitations that finitude exacts. Because the esoteric takes the Absolute to be the formless source of these revelations, he or she can endorse their plurality as alternative voices in which the Absolute speaks to be understood by different audiences. While this format gave me exactly what I was looking for-(a) an Absolute (b) that didn't require that I rank order the religions I work with-it carries a stubborn consequence. There is no way to satisfy both parts of this two-fold desideratum on the formal, exoteric plane. To which hard truth Perennialists add: If it is necessary to choose, it is better to adhere to the Absolute as truly and sufficiently disclosed in one's own revelation than to displace it with the "civil liberties" principle of religious parity, which is no more than a personally arrived at guide for conduct. Somewhere within these last two sentences I sense myself as parting company with my liberal friends in "the wider ecumenism," for they seem willing to reshape the forms of the great, originating revelations to two ends: politically, to reduce conflict by rounding off their sharp corners and rough edges, and theologically, to improve on their truths by learning from others. For my part, believing as I do that each of the enduring revelations already contains "truth sufficient unto salvation," I am not enthusiastic about tampering with them. The project smacks of precisely the sort of human fiddling with the revelations that Perennialists find themselves charged with when their position is mistaken for (a) the cafeteria approach or (b) articulated essentialism. Continuing with the last point, the chief objection to Perennialism that I hear is that its universalism rides roughshod over differences. I suspect that many such critics would shift their attack from Perennialism's (presumed) New Age all-is-oneism to its (actual) conservatism if they understood that everything that esoterics say about such things, universalism included, presupposes the formed/unformed distinction I have outlined. I was a universalist long before I encountered Perennialism. Where it changed my thinking was in persuading me to balance my universalism with an equal regard for the differences that distinguish revelations. Schuon's Transcendent Unity of Religions really is transcendent-radically so in being formless. In our "formal" life, forms are decisively important; so important that the forms of revelation should be respected. The cosmologies and social mores of their day (which they assume) are negotiable, but for spiritual insight we do better to plumb their pronouncements than tinker with them. For those forms are not incidental to the clarity of the message they convey, which clarity accounts for their historical power. So much for religious pluralism. What of the modern world? Jacob Needleman warned us that for Perennialists "the study of spiritual traditions [is] a sword with which to destroy the illusions of contemporary man." What are those illusions? As long as the issue was the relations between religions, Perennialists was the appropriate name for the thinkers I identify with. When we turn to their view of modernity, it is their other appellation-Traditionalists-that makes their point. It does so because Traditionalists consider the ethos by which people lived before the rise of modern science to be on balance more accurate than the scientistic one that has replaced it. Not (to repeat the point just mentioned) its science, which has been superseded, or its social mores, but its ontological vision. I wrote Forgotten Truth to celebrate that vision; and I wrote its sequel, Beyond the Post-Modern Mind, to expose the Procrustean epistemology-again, scientistic-that has caused traditional truth to be largely forgotten. I say forgotten rather than refuted, for there has been no refutation, merely an exchange of traditional ontology for one that derives from an epistemology that (in the short run, at least) caters to our material wants and wish to control, "the Old Adam." There are, of course, oceans of historical and psychological reasons for the West's having made this exchange, but no logical reasons. We simply slid into assuming that the most reliable viewfinder available to our human lot is the scientistic one that edits out spiritual truths in the way X-ray films omit the beauty of faces. I know that this assessment will be disputed; though actually it is a good day when one encounters dispute, for typically it is simply ignored. When rejoinders are heard, they point out that the preceding paragraph doesn't even mention science; only scientism, with which (by tacit association) science is sneakily tarred. That reply is useful, for it forces me to drop innuendo, come into the open, and say right out loud that science is scientism. I didn't have the wit (or was it courage?) to arrive at that conclusion by myself; a scientist at the University of Minnesota who teaches science to nonscience majors pointed it out to me at the close of an all-day workshop that I had devoted to distinguishing science from scientism and exempting it from the latter's pernicious effects. "Everything you said about the dangers of scientism is true," he said; "but there's one thing, Huston, that you still don't see. Science is scientism." His assertion startled me, but on the long walk it provoked I came to see his point. If we define science as the procedures that scientists follow and the demonstrable results that thereby accrue, and scientism as the assumption that the scientific method is the most reliable method for arriving at truth and that the things that science works with are the most real things, thus defined, the two are clearly different. But here's the point. Although in principle it is easy to distinguish them, in practice it is almost impossible to do so. So scientism gets overlooked in the way the power plays that are imbedded in institutions get overlooked until the extraordinary eye of a Michel Foucault spots them and points them out. The cause of the blur is the one that Baruch Spinoza stated abstractly: things tend to enlarge their domains until checked by other things. This applies to institutions as much as to individuals. The vanguard of science's expansionism is scientism, and it advances automatically unless checked. Religiously, it is important that it be checked, for the two are incompatible. So where are the guardians to keep scientism from sweeping the field? The Traditionalists are the most vigilant and astute watchdogs I see. And scientism is one area where I claim expertise, for my longest tour of duty (as they say in the military; fifteen years) was at MIT. 1. Higher education. Rooted as the universities are in the scientific method, as a recent president of the Johns Hopkins University pointed out, they are killing the spirit. 2. Mainline theology. Looking up to their more prestigious counterparts at the universities, seminary professors tend to accommodate to their styles of thought. As those styles do not allow for a robust, alternative, ontological reality, our understanding of God has slipped ontologically. (When was the last time I heard the word supernatural from a lectern or pulpit?) This slip is having disastrous effects on mainline churches whose members are moving to evangelical churches, Asian religions, or New Age cults and frivolity in search of the unconventional reality that homo religiosus requires. 3. The science/religion dialogue, with evolution as a major checkpoint. The only definition of Darwinism that has survived its multiple permutations is that it is the theory that claims that our arrival as human beings can be explained naturalistically. Scientism must make this claim, but the evidence for it is no stronger than that which supports its theistic alternative. Yawning lacunae in the naturalistic scenario are being papered over with stopgap "god of the gaps" stratagems-the god here is Darwin-that are as blatant as those that theology has ever resorted to. 4. Deconstruction and postmodernism. These thinkers see through scientism, but their constructive proposals make the wrong mistake (as Yogi Berra would say) for being brilliant answers to the wrong question. The question of our time is no longer how to take things apart, but how to work responsibly at reassembling them. For as the opening speaker at the 1992 U.C.B./Robert Bellah-sponsored Good Society Conference put the point: "We have no maps and we don't know how to make them." If those four one-liners seem extreme and my obsession with scientism a complete tapestry woven from a few threads of fact, I suggest that a reading of Bryan Appleyard's Understanding the Present would alter those judgments. In it he asks us to imagine a missionary to an isolated tribe. Conversion is slow work until a child contracts a deadly disease and is saved by some penicillin the missionary has brought along. With that single stroke, Appleyard argues, it's all over for the world the tribe had known, and by extension for the traditional world generally. For the miracle its medicine men and priests couldn't accomplish, science delivers. And "science has shown itself unable to coexist with anything." Speaking for myself, if the chiefs of the tribe could reason as follows: This white man knows things about our bodies and how to maintain them that we don't know, and we certainly thank him for sharing that knowledge with us. But it appears that knowledge of that sort tells us nothing about how we and the world got here, who we are in the fullness of our being, what happens to us after death, and whether there are beings of other kinds-immaterial beings, some of whom may be more intelligent, powerful, and virtuous than we are, the Great Spirit, for example. Nor does it tell us how we should live with one another. There seems to be no reason, therefore, why we can't accept the white man's medicine with gratitude while continuing to take seriously the wonderful explanatory myths that our ancestors entrusted to us. If, as I say, the chiefs could reason this way and hold true to that reasoning, science would not be a problem. But they can't. We moderns and postmoderns can't. And I can't-not wholeheartedly, so scientized is the culture that encases me. But trying to change it is happiness enough. 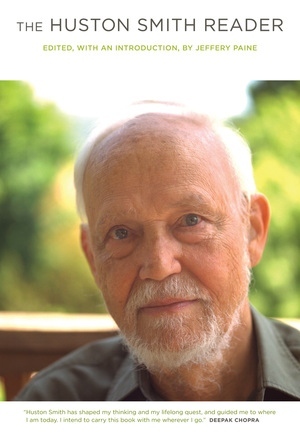 Huston Smith is regarded as one of the most prominent authorities on religions of the world. His classic text, The World’s Religions, has seen multiple editions and has sold in excess of three million copies. He has been the subject of a Bill Moyers’ PBS series called “The Wisdom of Faith” and is the author of numerous books, including Why Religion Matters: The Fate of the Human Spirit in an Age of Disbelief, The Way Things Are: Conversations with Huston Smith on the Spiritual Life, and The Soul of Christianity: Restoring the Great Tradition. Jeffery Paine is the author of Father India, Re-enchantment: Tibetan Buddhism Comes to the West, and Adventures with the Buddha.